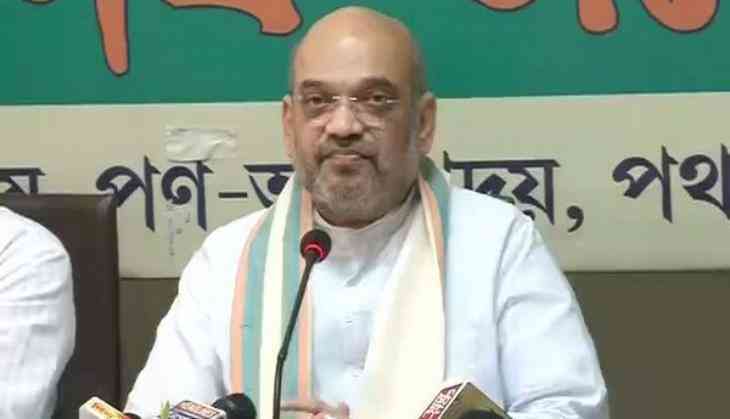 Bharatiya Janata Party (BJP) president Amit Shah and Union Minister Dharmendra Pradhan on Tuesday met mother of Chitrasen Jena, a BJP youth leader who was killed in the post Panchayat polls violence. Shah, along with Pradhan visited Bada Pokharia village in Khurda district of Odisha to meet the bereaved family. The BJP chief expressed grief over Chitrasen's death and also vowed to take stern action against the culprits. "We give our heartily tribute to Chitrasen Ji. We respect his sacrifice. I promise that those who were behind his death will be arrested soon," Shah said. BJP youth leader Chitrasen Jena was allegedly killed by Biju Janta Dal (BJD) goon following violence erupted during Panchayat polls.